Saral Gyan equity analysts team recommended this stock as Hidden Gem - Dec 2010 at price of Rs. 35.95, currently it is trading at Rs. 54 giving returns of almost 50% to our investors in period of 6 months. 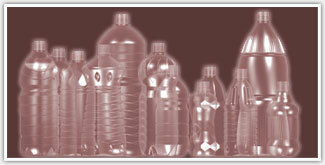 Piccadily Agro Industries Ltd. (PAIL), a Public Limited Company was incorporated in the year 1994. It is spread over an area of 168 Acres of Land. It started its operation in the year 1996 - 97 for manufacture of White crystal sugar with installed capacity of 2500 TCD along with in-house facilities for 6 MW Co-generation of power at Umri-Indri Road, Tehsil Indri, Distt. Karnal, (Haryana). The company there after started expansion & modernization of the Sugar Mill and enhanced the crushing capacity to 5000 TCD w.e.f. 02/12/2004 i.e from crushing season 2004 - 2005. The company further expanded its business & set up a Distillery Unit with a installed capacity of 60 KLPD in year 2007, which has further been expanded to 90 KLPD. 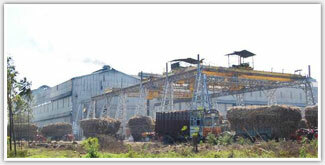 The Sugar Mill Crushed 3388670 quintals of sugar cane during the season 2010-11 & produced 318585 bags of sugar as against 2910239 quintals of sugar cane during the season 2009 - 10 & produced 275275 bags of sugar 2009 - 2010 . The mill also produced 163700 & 136515 quintals of molasses in the year 2010 - 11 & 2009 - 10 respectively, Molasses is a major raw material used in the Distillery unit of the company. 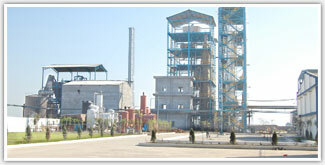 The distillation plants are designed & executed by M/s Destichem & Praj Industries Ltd. Along with this the company also installed fermentation house to cope up to supply quality wash, & are gradually expanding the existing unit by inducting ultra modern machineries. Further two Grain plants of 100 tons / day Grain handling capacity each have been setup for distillation. The company is planning to set up a 10 KL per day Malt Spirit plant to produce Malt Sprit made from Barley. The company is setting up a food grade CO2 plant supplied by Wittaman of USA. Co2 will be recovered from fermentation process and compressed in cylinder. Besides this the company has also obtained a license for setting up a Brewery with a capacity of 3,00,000 HLPA expandable to 5,00,000 HLPA. i) At the end of Sep'10 the Management holds 68.89% (now its 70.90%) equity stake in the company which is very good by any standards. ii) Over the last 2 years the Management has increased their stake by almost 10%. At the end of Dec'08 they had 59.18% stake in the company while at present they hold 68.89% (now its 70.90%) stake. The Promoter's made open market purchase as recently as May'10. iii) For the half year ending Sep'10, the company has recorded a more than 100% growth on YOY basis. The company is trading at a forward earnings PE multiple of 3.5 while the other listed companies command much higher PE multiples of 15-30, hence looks grossly undervalued stock. iv) Although company is a small player in comparison to the larger players in the same liquor segment, however it maintains one of the highest margins in the liquor segment. vi) On equity of Rs. 235.85 million the estimated annualized EPS works out to Rs. 10.3 and the Book Value per share is Rs. 26.51 (now Rs. 33.6). At a CMP of Rs. 35.95 (now Rs. 54) , stock price to book value is 1.36 (now 1.6). The scrip is trading at 3.5 X FY 2010-11 estimated earnings which make it an attractive buy at current market price. Saral Gyan Team recommends “BUY” for Piccadily Agro Industries Ltd. at current market price of 35.95 for a target of Rs. 75 (target revised to Rs. 90) over a period of 18-24 months. Company 90% revenue comes from liquor division which was commensed in 2007 and is growing with very healthy operating margins but still the company is considered as a sugar company. Piccadily Agro is trading below its intrinsic value and seems to be grossly undervalued. Click here to read complete research report circulated on 19th Dec to all Hidden Gems members.